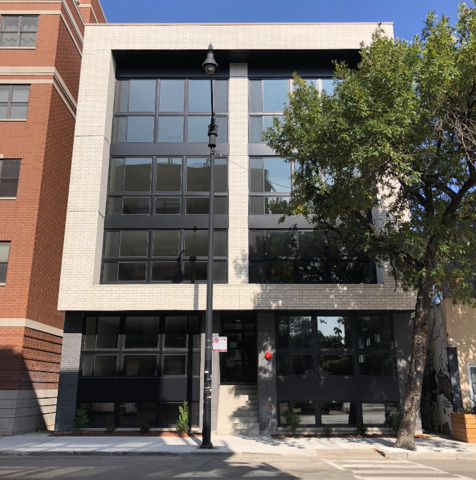 Discover the best of historic Logan Square at the newest condominium development - The Avenue - Logan Square. 8 professionally designed condos with smart and super spacious 3 and 4 bedroom layouts priced from $535k. Unit 3W offers an extra wide and 80&apos; deep simplex layout with 3 beds & 2 baths. Sleek chef&apos;s kitchen blends timeless textured cabinetry with modern Bosch appliances and quartz countertops. Natural Oak hardwood floors, spa-like bathrooms, and lots of closet and storage space. All units include private roof deck, rear patio, and one garage parking space. Short walk to public transportation (CTA Blue Line California & Western stops), Logan Square nightlife, easy access to 90/94 and only 1/4 mile to the 606/Bloomingdale walk & bike trail. Chicago&apos;s best restaurants and cafes literally just steps away! Easy to show and move-in ready!